Thank you to the 2018 Stuff-A-Bus contributors who include teachers, local businesses, volunteers, and community members. In 2017, we collected over 30,910 supplies for students in need. With those supplies we served 1,677 students which reached 816 families. In the 15 years that Stuff-A-Bus has been operating the event has provided supplies for over 18,500 children of Oswego County. The Stuff-A-Bus drive began in 2003 as part of United Way’s Success By 6 initiative. The purpose of the initiative is to provide necessary school supplies to low income families who are unable to purchase these items on their own. If not for the donations, many students in the Oswego County schools would go without crayons, pencils, paper; the very supplies necessary to facilitate learning. 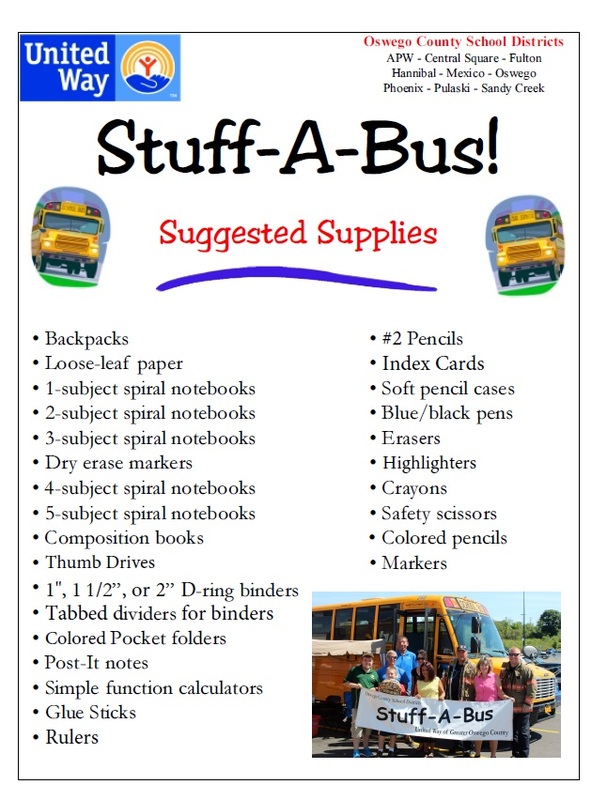 We started Stuff-A-Bus to fulfill two needs in our county. First, the need being school supplies for some families. The second need was giving the community members a day to volunteer and give back. 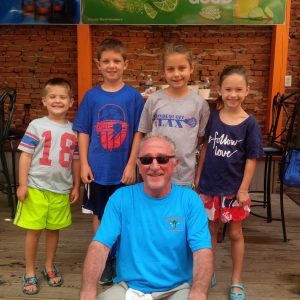 The event is held annually and involves partnering with the school districts to ensure that all children in need of school supplies receive them. A tradition that helps Children and Youth Succeed. Thank you to all of our 2017 Stuff A Bus Volunteers: 30,910 supplies were collected.